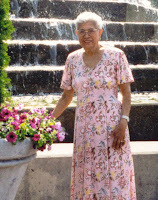 Thoughts of my grandmother bring back memories of a true renaissance woman. She was born into poverty, however, that didn’t stifle her great pride and belief in herself.Mamy, as she liked being called (grandma was too old for her), believed in dressing well, taking care of herself, being charitable and always thinking of tomorrow. One of her favorite sayings was: “You know about today, but you don’t know about tomorrow.” She always believed in not being frivolous with anything. When she was a young lady, she couldn’t afford to buy cosmetics, so she used to take red tissue paper, wet it and rub it on her cheeks and lips – instant makeover!!! Mamy was known for welcoming people into her home and somehow she would stretch a meal to feed any guests that arrived.Having a great love and children and family she married a widower at the age of eighteen. She said that she fell in love with the man and the children. We would often see her and my grandfather dancing in the kitchen while she cooked dinner. 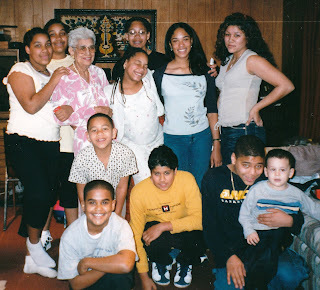 She raised most of her grandchildren – since the parents were working.She ran a family daycare of sorts and took care of the kids very well.Mamy was extremely loving and strict. Education was especially important to her since she was not able to study past elementary school.Anyone that met her couldn’t believe this since she was so intelligent –she would give all types of wonderful advice: parenting, career, financial, you name it. She was truly a wise person.